It’s interesting to note that the first ever online ad didn’t feature the logo of the advertiser. According to Mashable, this is because AT&T hadn’t yet completely signed off by publication time. It’s ironic, though, that the first display ad actually had something in common with what would become the native ad of the future – it wasn’t instantly obvious who the advertiser was, nor was it visually associated with the advertiser’s brand. While display ads have been around for over 20 years, the term ‘native advertising’ was only coined in 2011. Even so, in the past few years, native ads have put up some tough competition, unseating display ads as the leader in online advertising. According to this study, native ads are viewed 52% more than display ads, and they also contribute to much higher ‘brand lift’ than display ads. Native advertising spend is skyrocketing, with native ads holding a 56% share of online advertising in the US in 2016, expected to rise to 74% by 2021. 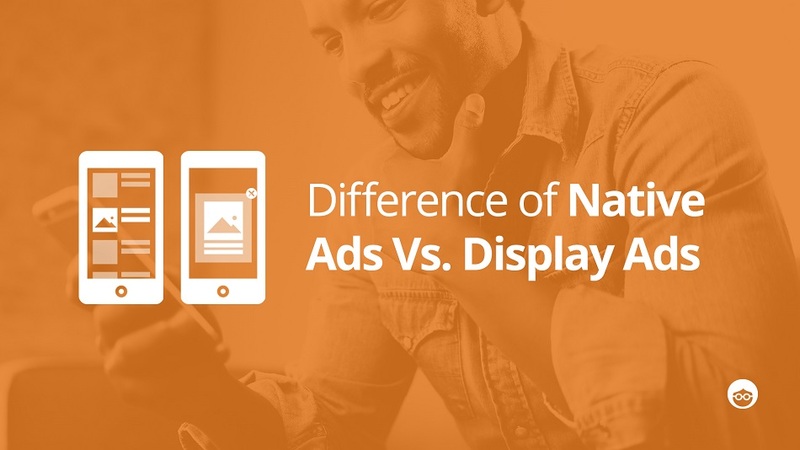 To understand why the newer native advertising format is overtaking display advertising, let’s take a closer look at both types and the differences between them. Simply put, display ads are ads that appear in the online space. The first display ads were ‘banner ads’, hyperlinked, image-based ads shaped as a strip, and usually located at the top of a web page. Later, as web design became more complex and creative, display ads evolved to a range of shapes and sizes, and included videos, interactive elements, pop-up functions and more. 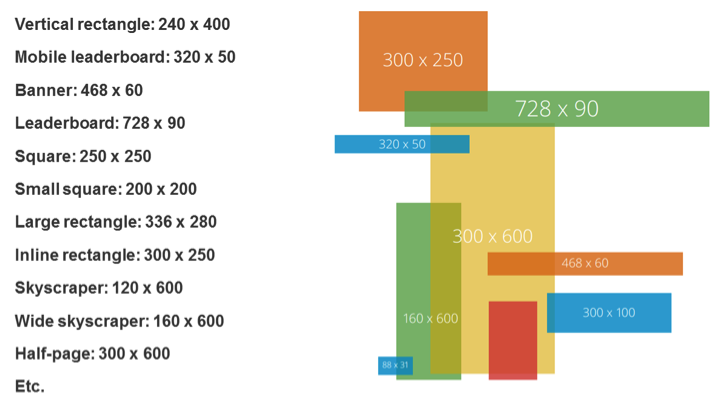 Today, banner ads simply refer to a specific size, of 468 x 60 pixels. Display ads typically have low click-through rates – just 0.05% across all formats and platforms. However, while CTR is important, it’s not everything. When other metrics are considered, display ads do have an effect on brand awareness and intent to purchase. Despite the statistics on ‘banner blindness’, when consumers get so tired of online ads that they don’t really ‘see’ them anymore, display ads do work, and performance marketers use them as an important part of their online strategy, particularly in retargeting campaigns. Native ads are ads that appear as part of the design and flow of the web page they are located on. Rather than standing out as an obvious hard-selling ad, native ads tend to have an editorial look and feel, with a softer selling approach. 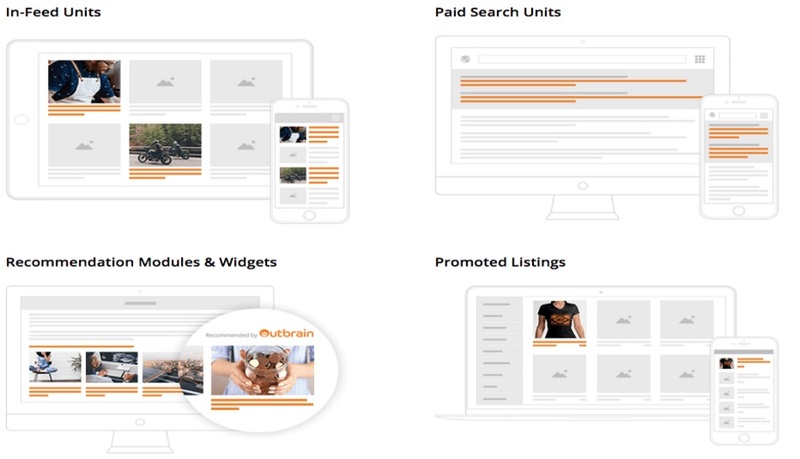 Native ads commonly appear as sponsored posts in social media news feeds, as listings in search results on search engines such as Google or Bing, and as recommended content by content discovery platforms like Outbrain. Although native advertising is a fairly new online phenomenon, it’s taken a stronghold on the online advertising industry. 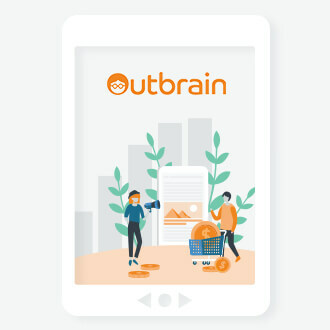 Native ads are highly engaging, and eminently suited to mobile, with a click through rate of up to 0.38% for premium native ads viewed on a smartphone. On desktop, the average CTR is 0.16% – half that of mobile, but way more than display ads. Native, Display or a Bit of Both? In an ad-saturated world, where pop up ads have a 73% disapproval rating, 64% of people say ads are annoying or intrusive, and there are an estimated 500 million downloads of ad blocking software, native advertising has carved a comfortable, and less obtrusive, niche. With the explosion of programmatic native advertising, native ads are now overtaking display ads. But that doesn’t mean display ads are on the way out. Hardly. In 2017, display ad spend on the US reached $37.2 billion, up from $26.15 billion in 2015. The future is yet unknown, but in the meantime, many performance marketers are hedging their bets, using their budgets to leverage the advantages and strengths of both display and native advertising in their online strategy. I have a question, do you consider just loading the web page as an impression on calculating CTR or when user scroll down and see ads you count one impression?